It was Saturday night. The husband just finished his work for today. Despite of Saturday, because this is overseas' assignments, every hour is precious so that the tasks given could be done within the time frame. 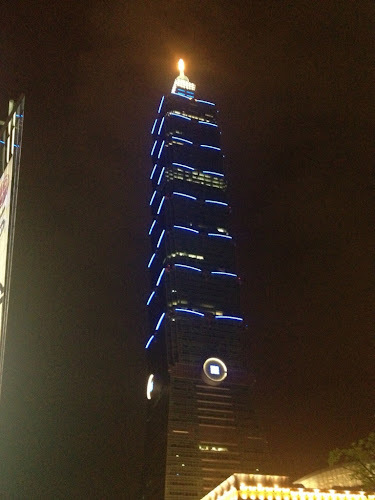 It was his second time being posted here, Taiwan, a country much resembles Malaysia. Everybody said that. The one who kept saying that was his wife. Oh, he can't stress enough how noisy that woman could be. She told tale about Taiwan like she's been there. sigh..
Well, he is used to her high pitch, annoying voice for 10 years. Some people will say, that's scary..but he thinks, the scary part is not to be able to listen to it again. He knows he had been busy for the past weeks. Everyday he got back to a sleeping wife. In a few days he can assure that his wife could be bursting like volcano, asking for attention. He is counting the days. What can he do to avoid such a disaster from happening? Well, they married after being committed to each other for almost a decade. he can read her mind so easily. The eruption of volcano is almost definite. However, there's always ways to cool it down before it happens. So basically, his wife is not like volcano. she is more like a nuclear reactor struck by tsunami. 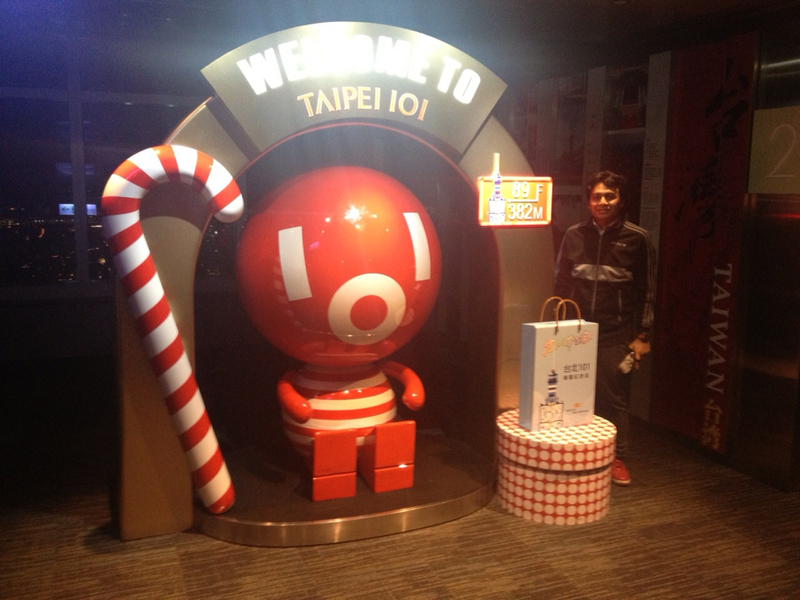 The husband now got a bit of time to enjoy Taipei at night. So, he decided to bring the wife along with him. The husband has always being one who fond of big, well developed cities. He could be easily stunned by tall buildings and fancy lights. That's why the first place came to mind was..Taipei 101. The husband wanted to make a surprise for his wife. So, he made sure the wife did not see what's coming until the reach the top. The view was then revealed to the wife. She was starstruck on how beautiful the view are. The husband 'brings' her closer to the glass wall and help her see different angle of the city. She was so happy and burst to tears. Not because the scene is too pretty it makes her cry. It was the fact that..she can't kiss the husband's at the cheek and say 'thank you'. Although it was just a few minutes, it felt so real. It feels like she was standing next to him, but in real..she is stuck in the screen.